From Sunday, May 7th to Tuesday, May 9th, the New Beverly Cinema will be showing a beautiful I.B. Technicolor print of George Stevens’ epic film Giant (1956). Based on Edna Ferber’s writings, this adaptation was destined to be incendiary and provocative. A literary rebel since the beginning of the 20th Century, Ferber was a woman with anarchy in her pen. A member of the Algonquin Round Table and a Pulitzer Prize Winner, Ferber regularly made waves. From her early book series centering on a divorced business woman confronting sexism and sexual harassment to Ferber’s most traditionally famous novels, Show Boat (1926) and Giant (1952), Ferber’s lengthy career was built on socially progressive stories and feminist characters. Ferber was noteworthy for saying what she meant and meaning what she said. Multitudes of women laid the groundwork for Hollywood cinema and few have gotten the recognition for it. 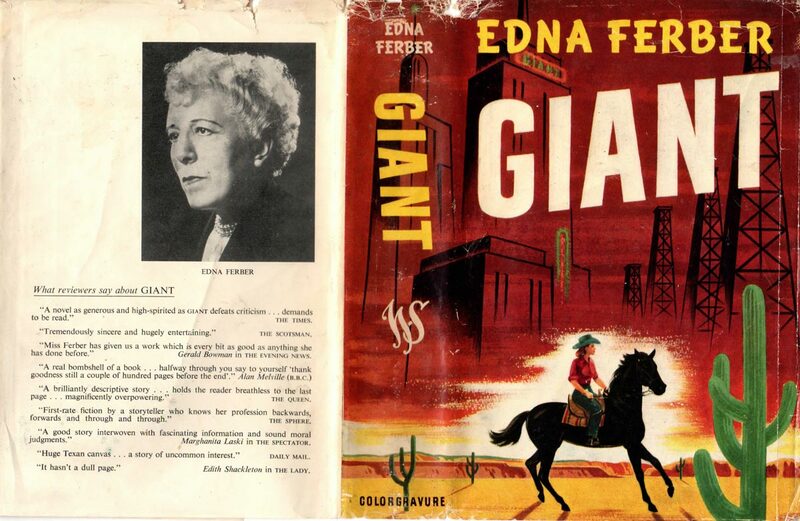 Edna Ferber, firebrand that she was, had over 11 films made from her literature. Stories about racism, anti-Semitism, classism, sexism and more graced the silver screen. Directors like Howard Hawks, George Cukor, William Wellman and more saw her as a perfect source for great storytelling and truly excellent and original content. From silent films to pre-codes and musicals, Edna Ferber was a “working author” as far as adaptations were concerned. 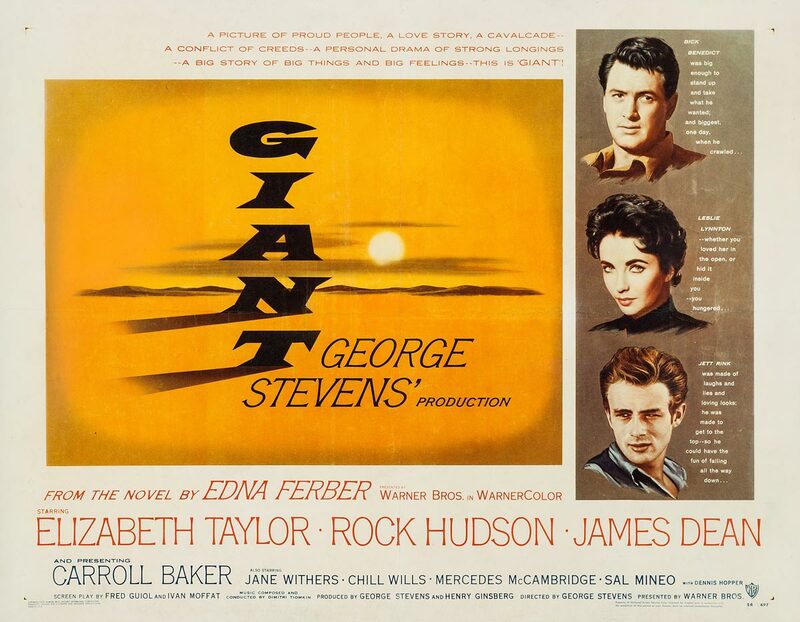 What George Stevens decided to do with Giant was not unusual for George Stevens at that time. Stevens had been working in Hollywood forever – he was an old pro. Starting his career as a prolific cinematographer in the 1920s, he shifted to directing light comedies and a few melodramas during the 1930s. It wasn’t until after WWII that Stevens’ perspective on the world and his lens on life was seriously altered. Like many in Hollywood, he had followed one industry to the other and went to war with his camera as a weapon. Stevens joined men like William Wyler, John Ford, Frank Capra, and more in their filmed crusade against Hitler. Out of the many filmmakers who enlisted, Stevens’ output was more graphic much of the time. He is one of the reasons that we have such extensive footage of the concentration camps and what was in them. He turned a brave lens on those camps and did not shy away from the ugliness. Upon his return to the US, however, Stevens was a changed man. His work, previously light and playful, was strikingly bleak. Films like A Place in the Sun (1951), Something to Live For (1952) and Shane (1953) are incredible and important works but the subjects that he tackled were murder/criminality, alcoholism and extreme violence, respectively. Those are pretty far from the bright and shiny Spencer Tracy/Katharine Hepburn vehicle Woman of the Year (1942)! But it was these films that inspired him to want to work with a writer like Edna Ferber and adapt one of her stories into a motion picture. He was interested in returning to the same kind of Western feel that he had created with Shane but in a wholly different direction. Ferber herself had pissed off Texas royally at this point. Because Giant had been serialized in Ladies Home Journal before getting published as a novel, the Lone Star State had gotten a taste of what the Wisconsin Native had to offer and they were not happy. How dare she, a non-Texan, write about Texas like that? Call them out for being racist and portray them in such a nasty manner, class and economics-wise? How did she know anything about them? Oh yeah. They were not fans. But George Stevens was. He saw the kind of integrity in her story that Shane had: social change when and where social change was needed. Screw a bunch of folks who thought they could not be critiqued. That was his America. And that certainly wasn’t what Stevens’ idea of a proper Western was. But to be completely fair, Stevens was also fond of the fact that Ferber had stirred people up. George Stevens may have been a progressive dude but he was also a filmmaker. He was well aware that making this film was not just a social mission. It was also capitalizing on the controversy and hullabaloo that Giant had started. 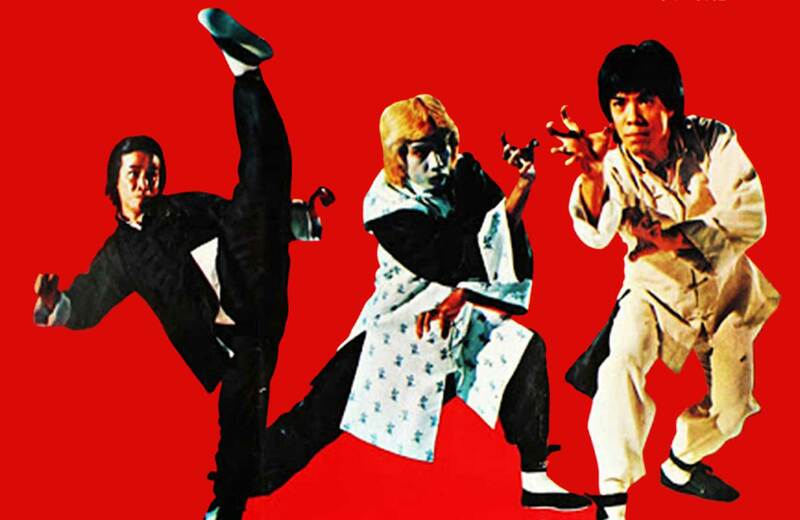 As the production moved forward, the problems that Stevens had with Ferber on the script were almost as epic as the film itself. He discovered that Giant was based on real Texan families and he was really going to have to do some fancy footwork to make the film look fictional and raise less hell up in Texas than Ferber had. Additionally, Ferber was an author, not a screenwriter, so that part of the production was… difficult. But they managed. Casting was also a challenge: Stevens wanted Audrey Hepburn for the lead part of Leslie Benedict. But that didn’t happen. He then considered Grace Kelly, Jane Wyman, Jennifer Jones, even Rita Hayworth. MGM wouldn’t lend out Kelly so that was out. His choices for Bick Benedict were men like William Holden, and Robert Mitchum, but neither was available so it became Rock Hudson. Rock Hudson was the man who selected Elizabeth Taylor for the part of Leslie, forever changing the way in which the film evolved. Then of course the worst of all possible things happened before this dazzling epic even wrapped: one of its primary stars, one of the biggest matinee idols in all of Hollywood History, was killed in a tragic accident. James Dean finished shooting his final scenes for Giant and returned to California. Four days later, on September 30, 1955, he died in a horrific car wreck. It’s been established that he was driving too fast, but he wasn’t racing or being a young stupid punk, as some might have you believe. In fact, the gut-wrenchingly sad thing is that Dean had just done a safety PSA with Gig Young in his Giant wardrobe talking about the difference between racing and driving fast. 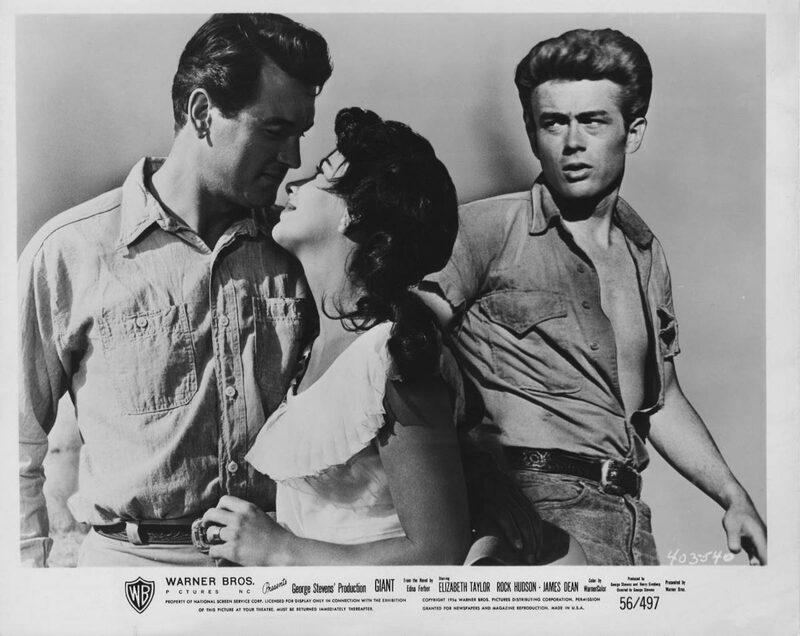 Back in Texas, Elizabeth Taylor was inconsolable over Dean’s death. While Stevens was clearly upset by the news as well, the film had to be finished. Forcing Taylor to keep working, the two had a huge fight over the issue. Taylor never quite got over it and never forgave Stevens. 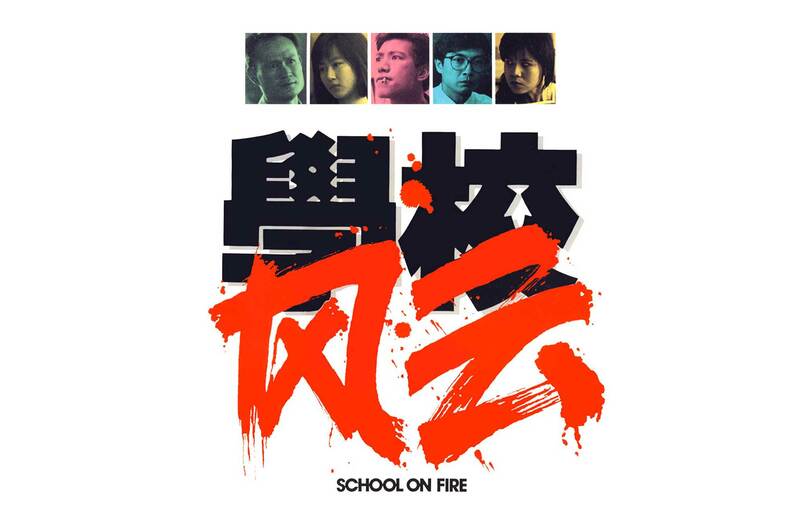 While the production history of this film is rich and those involved are dynamic, what makes this work so incredible and tragic is its continued relevance. It would be great if we could watch Giant and say, “Wow, we’ve come so far! Look at the advances we’ve made since this film and the literature it was adapted from!” but we can’t. The current government is talking about building a wall between the United States and Mexico. How different is that from the unkind treatment and racist slurs being thrown willy-nilly throughout George Stevens’ film? The answer is that it’s not. As we watch Leslie Benedict (Elizabeth Taylor) throw down with the men and get told that she is being “unfeminine,” is that any different from what women deal with today? Not much. We haven’t come so far from Giant. Which means that it still needs to be shown and it still needs to be watched. When men like Jordan Benedict (Dennis Hopper) still have to use their rich white male identity in order to ensure the safety of their wives of color like Juana (Elsa Cardenas), we need Giant. 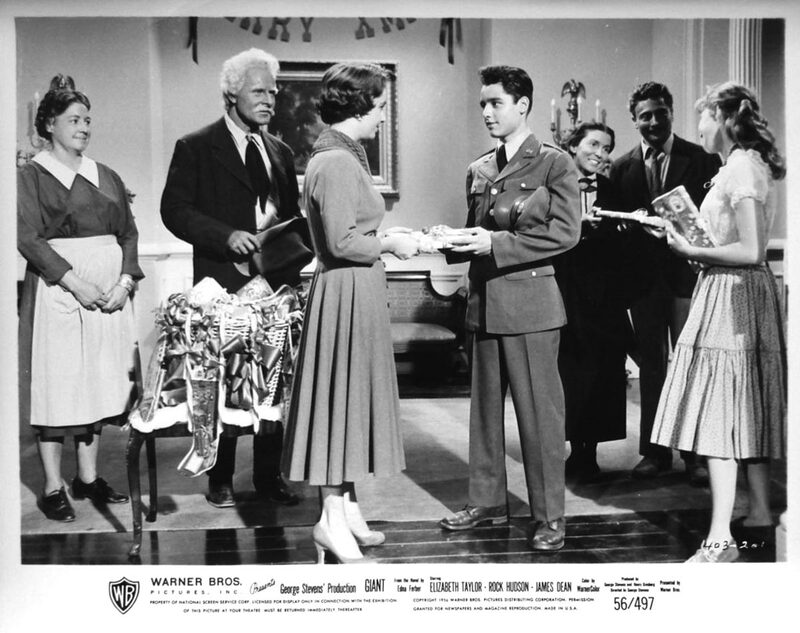 When families of color can’t go out in public for fear of discrimination and a situation like the one shown in Sarge’s Diner, WE NEED GIANT. 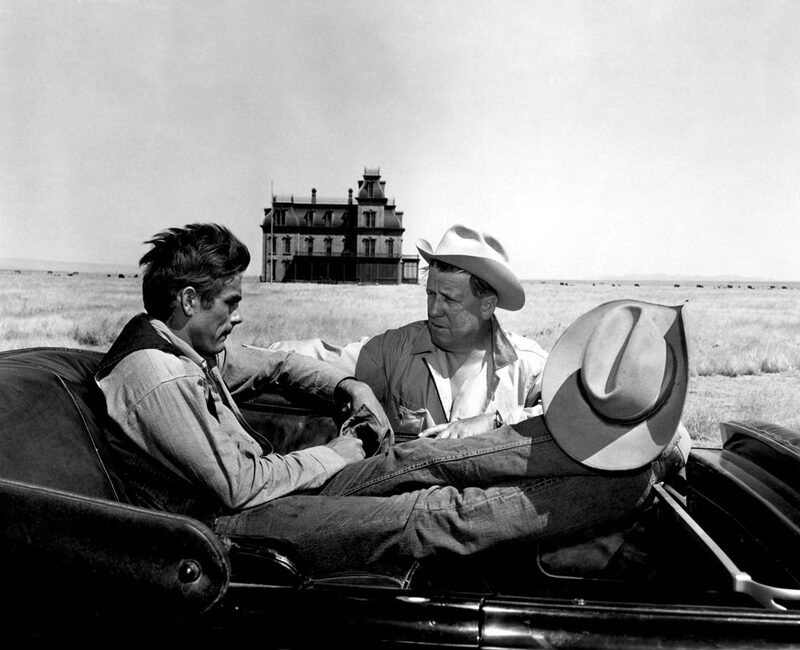 George Stevens may not have known how critically important the film he was making was going to be, but it has had lasting power due to the marriage of social critique and good storytelling. The perfect storm of Ferber and Stevens. But please – do not misunderstand my words – Giant is not a chore to watch even if it is socially aware – remember – this is classic Hollywood cinema! It’s incredibly beautiful, with wide-open landscapes and the brilliance of Carroll Baker in her first feature film, in addition to the fabulous Mercedes McCambridge! The fact it’s being screened in IB Tech is a gift. The love story and the familial history/generational structure are nothing to be sniffed at. Giant is an authoritative work and we are lucky to have a theater like the New Beverly to screen it for us in 35mm. Let us revel in its glory!